Driver's ed and a first crush should be what Alex Winchester is stressed out about in high school - and she is. But what's really on her mind is her mother. Why is she dressing in Dad's baggy khaki pants with a silk scarf around her neck? What is she planning when she pores over maps in the middle of the night? When did she stop being Mom and start being Amelia Earhart? This story begins by portraying a typical household in suburban America, as teenage Alex is trying to scamper out the door to school by avoiding the annoyance of her younger siblings, and the always charged air between her and her mother. The flow felt very natural, almost mirroring an image of what life was like during my youth. Signs of a well-written story emerged right away as I found myself being able to connect to Alex and the interactions with her family. Slowly we begin to see the signs of something else creeping through the image of Alex's mom. Her blank stares, forgetfulness, and anxiety gain the attention of Alex, her dad, and even her younger siblings, echoing that something isn't quite right. As Alex navigates the every day life of being a teenage girl, she quickly realizes that her mother is sick, and truly believes herself to be Amelia Earhart. The family is distraught at first, unsure of how to handle this, thinking a trip to the hospital for medication and rest will pull Alex's mom back into focus. But as the aviator maps come out, the refusal of Alex's mom answering to anything but Amelia Earhart, and the constant chatter about upcoming flight plans persist, the family finds themselves holding on to a shell of a woman they so desperately want to come back to them. My heart broke for Alex as she grappled with the reality of what was happening, even though she never quite understood it herself. She was too embarrassed for the outside world to witness the chaos of what was happening at home, so she pulled away from her friends. But somewhere in the fog, she found an anchor to hold her still. Jim walked into her life when she needed it most, calming her and allowing her to escape to a different reality, even though he never knew the truth about what was happening at home. Their interactions cast a warm glow on a story that held so much grief. Every so often I found myself having an emotional reaction to different scenes between Alex and her mother. It was difficult to get past the moments when Alex so desperately wanted, needed, her mother, yet only received the ghost of some historical figure from year's past. The struggles this family endured, trying to cope with the illness of Alex's mother, really tugged at my heart page after page. I wanted so badly to reach through the pages and comfort them. I appreciated the fact that Annie Cardi did not wrap this story up with a pretty little bow, giving the family, Alex especially, a happily ever after. 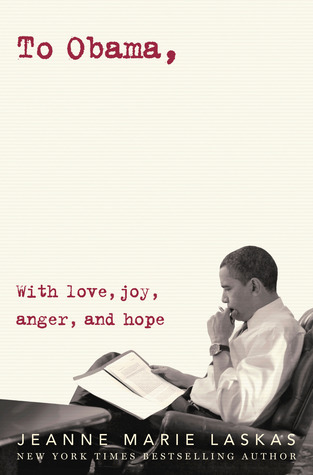 The conclusion felt genuine, even if a bit sad, with the potential of hope still ahead. This debut novel is both compelling and thoughtful, rich with emotion, yet authentic in its teenage voice. The personal connections I felt to this story will not be forgotten, as this book has now secured its place within the confines of my literary heart. Absolutely beautiful review! I was excited to read this book, but now I can't wait! Wow! 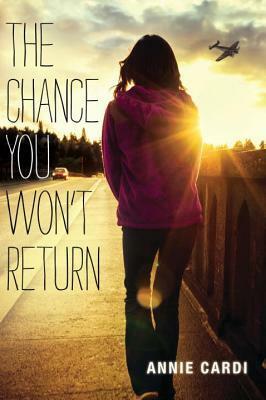 The Chance You Won't Return sounds really compelling. I love that you feel like it realistically portrayed this situation. And I'm kind of fond of Amelia Earhart, so to have that integrated into a story is positively fascinating. I'm probably going to have to check this one out!